Alcatel Lucent offers a subscriber line carrier 2000 access system digital loop carrier for use in a wide range of networks and deployments. While initially under the company’s own line, the Alcatel Lucent SLC-2000 is now owned by Nokia and only receives limited support from the brand. Despite hitting discontinued status, used and refurbished Alcatel Lucent SLC-2000 are still found keeping many networks robust and capable as new changes occur. One key note is that the units remain reliable even in shifting times and weather. A network of Alcatel Lucent SLC-2000s survived the gale-force winds of Hurricane Andrew in south Florida with no downtime and provided the strong backbone of support for the 1996 Summer Olympics. Your network deserves that kind of proven reliability. 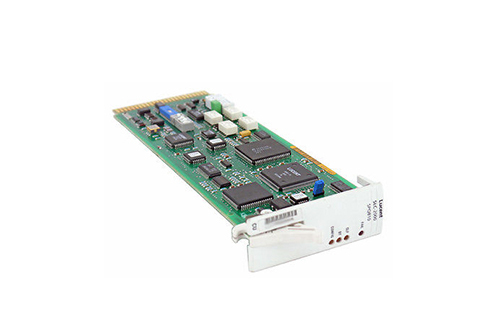 Worldwide Supply offers a complete line of used and refurbished Alcatel Lucent SLC-2000 systems and components that still support original functionality. All of our SLC-2000s support 768 lines per unit, making them smart units for entrants into new markets or to make a minimal expansion investment as you look to learn how much business is available for your next market. Used Alcatel Lucent SLC-2000 models work with TR-303 and TR-08 compliant switches and most operating systems, with an eye on scalability and network reliability. SLC-2000s can support ISDN, xDSL, MSDT and other deployments. Push past plain old telephone service for residential and commercial customers by integrating a refurbished Alcatel Lucent SLC-2000 into your network, by partnering with us at Worldwide Supply. ALCATEL-LUCENT SLC-2000 CUSTOMER ASSEMBLY MANUAL FOR RT FRAMES.